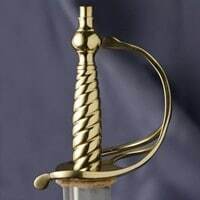 A very appealing and functional sword. Also called a hanger this sword was carried during the 1600’s to 1700’s. Frequently used by Officers as a close quarter battle weapon because of its size. 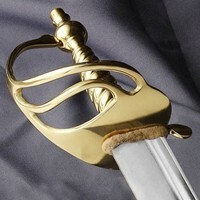 An ideal pirate sword with its stunning looks. 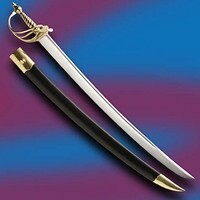 Tough, tempered high carbon steel 65cm blade. Solid brass heart-shaped guard characteristic of the period. 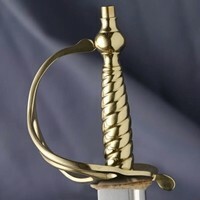 Has leather scabbard with matching brass parts.